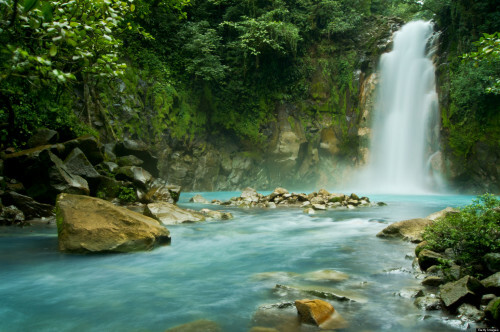 Cheap flights to Costa Rica: San Jose for only €426! Air France now offers pretty cheap flights to Costa Rica! 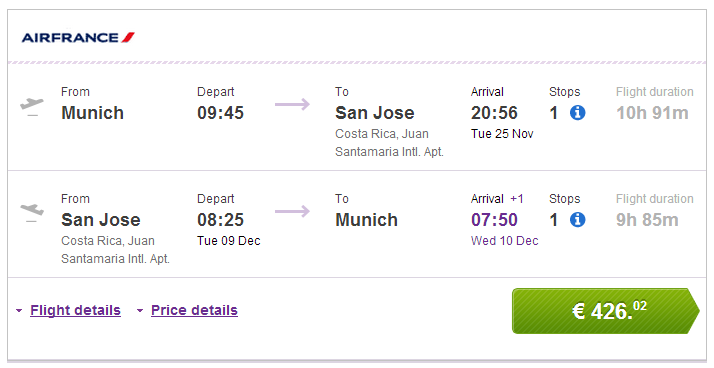 Return flights from Munich to San Jose in Costa Rica are available for only €426! Travel dates are from September until 8th December 2014. There is 1 transfer in Atlanta. Book via BudgetAir to get this awesome price (or directly via Air France for €430)! « Cheap return flights to Italy: Wroclaw/Krakow-Bologna for €43!